and we'll be together once again, side by side in the hills of home. Deep in the heart of Virginia, nestled in the hills that are rich deep with coal, lies the little town of McClure. Just up the holler at a place called Big Spraddle there is a farm. It's small by today's standards. But, back in the day, it was quite modest. It's a peaceful area that is brimming with history and roots that go deeper than the old hickory trees that grow there. It's the history and roots of hard, honest, church going folk that resonates throughout the hills and valleys of the region. All legends have a beginning and this legend began when Lucy Jane and Lee Stanley welcomed the birth of their second son, Ralph Edmond, on February 25, 1927. The Stanley's were like your typical family of the time. They worked hard during the day and at night they would gather as family to hear music. At the time, music was one of the only forms of entertainment. Unlike today, the television was not part of the daily scene. There was, however, a radio and many people could play various musical instruments. Lee enjoyed singing to his family. Many of the songs that he would sing were old and traditional that were passed down from generation to generation. While Lee sang, Lucy Jane would pick the five-string banjo, using a rare technique in picking called clawhammer style. Over the years Ralph and his older brother Carter became close, as only brothers could. The two boys learned from their parents the songs of old like "Man of Constant Sorrow," "Pretty Polly" and "Omie Wise." Carter went on to learn how to play the guitar and sing lead vocals, while Ralph learned his mother's clawhammer style picking on the banjo as he sang harmony. "I got my first banjo when I was a teenager. I guess I was 15, 16 years old." shares Ralph. "My aunt had this old banjo, and Mother bought it for me...paid $5 for it, which back then was probably like $5,000. [My parents] had a little store, and I remember my aunt took it out in groceries." The radio was the key for many musicians back then. Listening to shows like the Grand Ole Opry, often introduced local musicians to different styles and songs. Ralph graduated from high school on May 2, 1945, and was inducted into the United States Army on May 16th. He served just a little more than a year, during the tale end of World War II. At one point, Ralph had considered taking course in Veterinary. But in time he would team up with his older brother Carter to play music. In 1946, the two would form The Stanley Brothers and their Clinch Mountain Boys. At the time Bill Monroe, the father of Bluegrass, was quite popular, Carter and Ralph followed in Monroe's footsteps. Together they formed their own style that fused Monroe's rapid rhythms with their own down home mountain feel while creating a distinctive three-part harmony that included Carter as lead vocalist and Ralph's tenor as background. At first the two covered many of Bill Monroe's music. However, that did not pay off. The two then decided to adventure into songwriting. "We needed something of our own. So we started writing songs in 1947, 1948." shares Ralph. "I guess I wrote twenty or so banjo tunes, but Carter was a better writer than me." The Stanley Brother's music captures the heart and souls of listeners world wide. Their style was unique as they captured the rural landscape, traditions and beliefs that they were raised with and mixed them with a sense of lonesomeness and personal loss. Their vocal stylings were as close to the Primitive Baptist style that they learned from their parents. Thus creating their own style called "Mountain Soul." It was in September 1947, when the brothers made their recording debut with Rich-R-Tone Records. Their records sold well. Less than two years later, they signed with Columbia Records. At the time, Bill Monroe, was with Columbia. He was not particularly fond of groups like The Stanley as he often thought that they 'stole' his music by coping it. Monroe left in protest and joined Decca Records. In 1951, the brothers broke up the band. Ironically, Carter went on to play guitar for Bill Monroe. Two years later, the brothers would reunite and stay together as The Stanley Brothers. On October 21, 1966, the brothers were performing live at a school auditorium in Hazel Green, Kentucky, when Carter suddenly had to leave the stage. They soon found out that he had been hemorrhaging. Six weeks later, on December 1, 1966, Carter passed away. Ralph was devastated. As the younger of the two, he was always following his brother's lead. Ralph took into deep consideration whether he should return to the stage without Carter. "I was worried, I didn't know if I could do it by myself." shares Ralph. "But boy, I got letters, 3,000 of 'em, and phone calls...I went to Syd Nathan at King and asked him if he wanted me to go on, and he said, 'Hell yes! You might be better than both of them." Ralph went on alone and eventually revived their band The Clinch Mountain Boys. This time, Ralph was able to develop his own style. He drew deep from his Appalachian roots and adopted more of the Primitive Baptist church style singing of a cappella. Over the years Ralph would change the line up of the band. Some of the more notable players included Curly Ray Cline, Melvin Goins, Larry Sparks, Ernie Thacker to name a few. In 1970, two young artists by the names of Ricky Skaggs and Keith Whitley opened for Ralph and his band. Ralph thought that they were so talented that he hired them on the spot making his band an unprecedented seven member band. In 1976, Ralph received an honorary doctorate of music from Lincoln Memorial University in Harrogate, Tennessee. 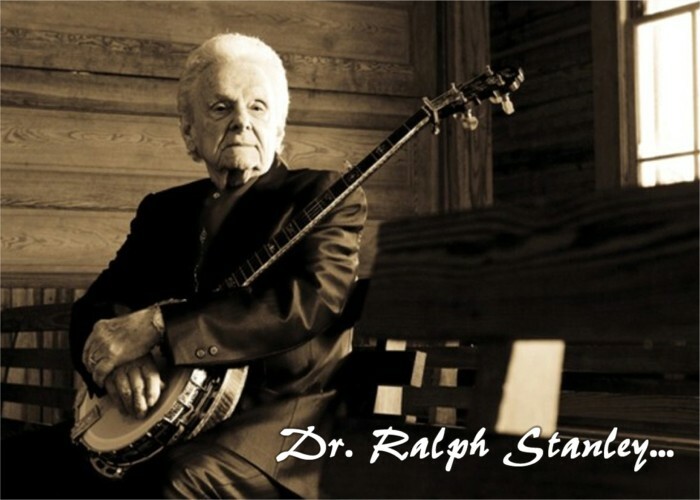 From this moment on, he became known as Dr. Ralph Stanley. Ralph went on to marry his wife Jimmy, on July 2, 1968. Together they had three children; Lisa, Tonya and Ralph II. Ralph II would eventually join The Clinch Mountain Boys as lead vocalist and guitar. At the age of 73, Ralph's music was introduced to a whole new generation. It was his version of "O Death" that was featured in the ever popular 2000 movie O Brother, Where Art Thou? that introduced him to a whole new audience of young listeners. Although he had been dealing with some health issues, Dr. Ralph continued to record and tour. Joining him in his musical career was his son Ralph II and his grandson Nathan. On January 19, 2015, Ralph released his last album on Cracker Barrel Records. Ralph Stanley & Friends: Man of Constant Sorrow features thirteen beautiful songs that were recorded with many talented entertainers including Lee Ann Womack, Dierks Bentley, Del McCoury and Robert Plant. Ralph would also team up with his former student, Ricky Skaggs in an old Carter song called "Sweethearts In Heaven." Nonetheless it was the twelfth cut of the album that will forever remain in the hearts of his fans. In 1969, Ralph recorded a tribute to his brother Carter in a song called "Hills of Home." In this song, Ralph performs a eulogy to his late brother. Forty-six years later, Ralph re-records this heartfelt ballad again. "God has had his hand on my career for the past 68 years. It's up to him when I will quit. I have no plans of slowing down. I love my fans, and I love performing." stated Dr. Ralph in 2015. Throughout his career, Ralph has earned numerous awards and accolades. He and Carter are credited as being one of the founding members of Bluegrass music. After reading this, you may think that this story is not of legendary status. But, it is... You see, throughout his life and career, Ralph Stanley remained humble. He never lost touch of his genuine Virginian roots. After shows, he would sign autographs until the last person received one. He was modest and polite. He was a positive, sincere and a natural talent. He never considered himself above anyone else. But most of all he respected everyone as well as the music. If you find yourself in the hills of Virginian, stop and listen close. Just up the holler at a place called Big Spraddle, you just may hear the distant sound of a banjo accompanied by a gentle voice. 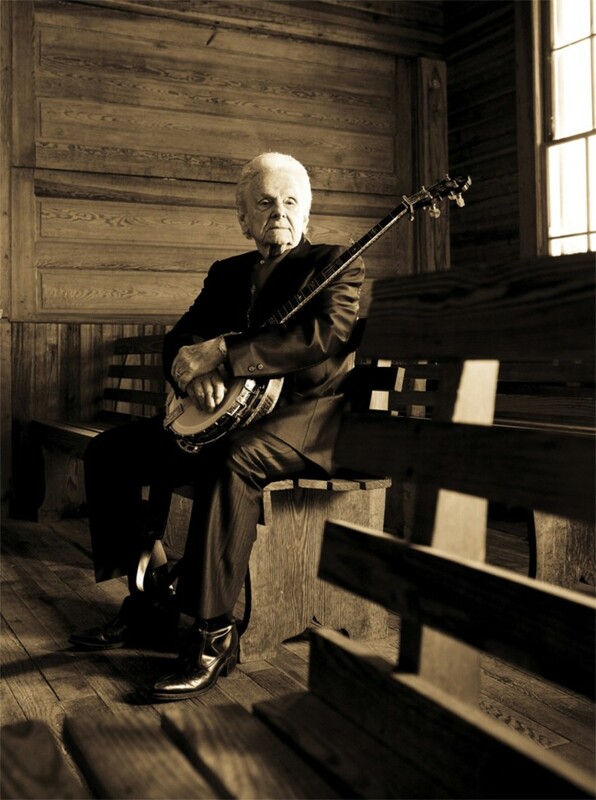 Do not fear, it's just a local legend... A legend by the name of Dr. Ralph Stanley.